In the Race for First, Get Out of the Way! “First is the worst. Second is the best. Third is the one with the hairy chest!” My son chants this as we near our neighborhood after school some days. When we pull in the driveway, the kids make a beeline from the back of the van to the doors. They not only want to be first out of the van, but they also want to be first into the house, immediately forgetting the rules of my son’s cheer. It’s every kid for himself. As they shove each other out of the way, they and their backpacks become a tangled mess of limbs and torsos wedged between the seats. My daughter cries. 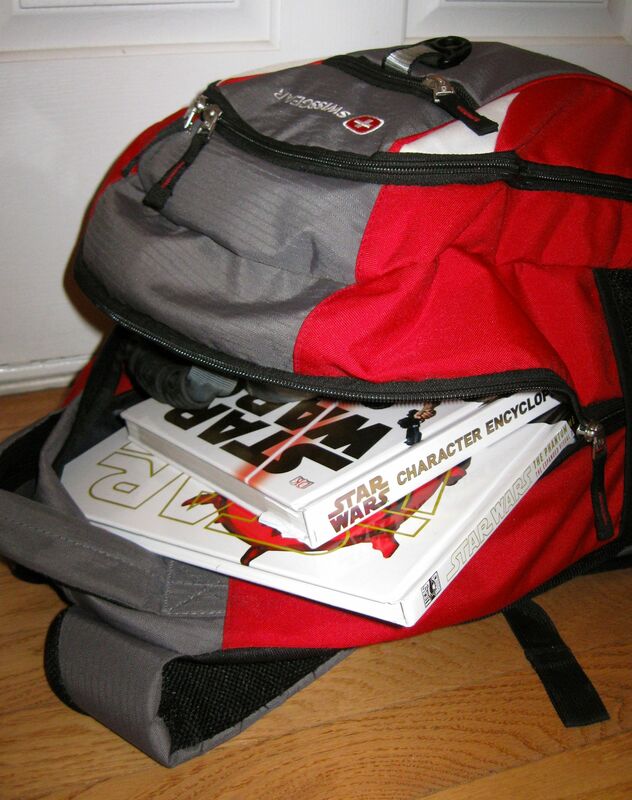 My son’s backpack, so overstuffed with Star Wars books, plugs the aisle like a giant cork. The kids both scream at each other to MOVE! I am tempted to walk away and tell them that I will be first in the house and they can work it out, but my daughter’s tears guilt me into overseeing the torment. The neighbors, already on alert that we are home, would surely disagree with my abandonment. The culprit of many after school backseat traffic jams. These are good times. Luckily for me, this happens at least once a week. The backpack finally gives, my son escapes, and the kids elbow each other along the sidewalk, tears still flowing. At this point, I yell to just STOP IT! I open the front door, the kids fall in, backpacks fly, kids bolt to the bathroom to wash hands, more tears from the one who didn’t make it there first. Then they fight and cry about who was first yesterday to get in the van, get out of the van, get in the house, wash their hands, get upstairs. It exhausts me and I am just a spectator in this vicious sport. To top it all off, it turns out I am often the one with the hairy chest around here. I can tell you who’s first to get a headache. Mom. I can’t tell you whose temper is first to flare. They pretty much all set off at one time.